This picture was taken on Christmas morning 1996. It was the first of 2 photographs. The most important thing is the spirit seen in the circular mirror in the background. It is a picture a thin man with a full beard. It was taken with a polaroid camera which has just been bought for Christmas. When I saw the the figure in the picture I had the photo taken again in as near to the same angle as possible. 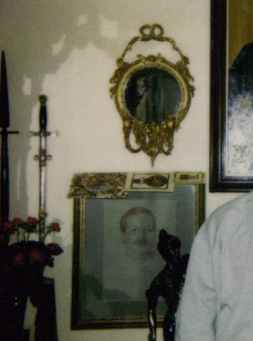 The result of the second picture was the "spirit" had moved to the other side of the mirror. He had an exact likeness to the first as you can see below. The second picture taken just after the first one. 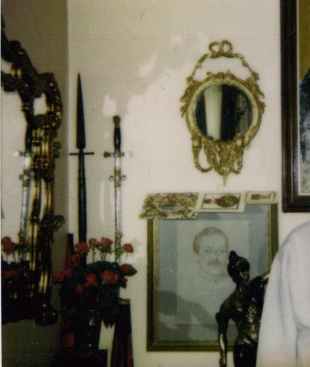 Notice the spirit has moved to the other side of the mirror.